Partner With Patrick Review - Does It Really Work? Partner With Patrick Review – Does It Really Work? Welcome to my Partner With Patrick review. I'm assuming you've recently come across this website, “Partner With Patrick”, and are wondering if you can really make the $6340 a week that they claim, or if this is just another scam to avoid. Well, you've come to the right place, because I've taken a look at their website and I'm here to let you know my thoughts and opinions about Partner With Patrick. I'll start off with my very first thoughts as I entered the website and took a quick glance. Straight away, I noticed the website had many of the red flags that I look for when I'm investigating these things. The main one being absolutely ridiculous income claims. 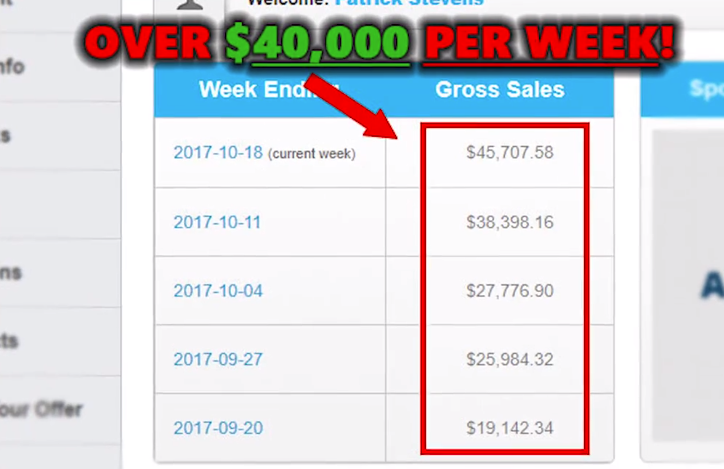 Partner With Patrick has probably the biggest and most unbelievable numbers I've ever seen from one of these websites. They're so unbelievable that I'm straight away thinking.. SCAM! I am 100% positive that these claims are fake. There is no way somebody could make $115,000 in their first month. It's a completely ridiculous claim. I have years of experience and numerous online businesses that have been running for years, but even I'm not able to make $115,000 a month. Let alone somebody just starting out. It's impossible. The founder of Partner With Patrick is apparently somebody called Patrick Stevens. I have never heard of this name before, so the first thing I did was search google for him.. What did I find? Surprise, surprise.. Absolutely nothing. Which tells me that Patrick Stevens isn't a real person at all. He is a fictional character the narrator has come up with. This is another major red flag that instantly makes me lose all trust in the website. How Does Partner With Patrick Work? According to ‘Patrick Stevens', everything is done for you! You will have a ready made website handed to you, pre-made products for you to sell, and your very own personal millionaire mentor to get you started and on the right path to success! Sound to good to be true, right? That's because it 100% is. If you've read my other reviews, you will see that I never trust any of these websites that claim you have to do no work and you will earn passive income on auto pilot. If somebody says all the work is done for you and you have to do nothing.. Assume it's a scam. What System Do You Actually Get? 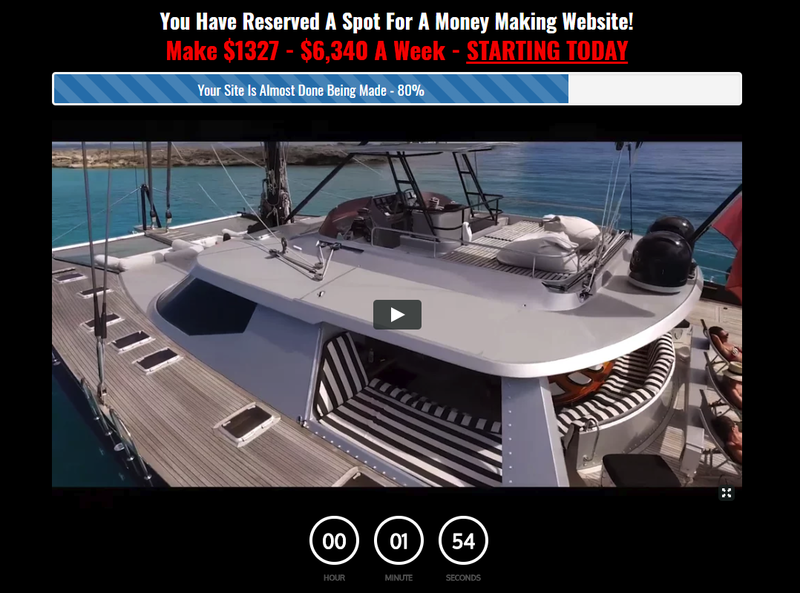 If you watch the video or browse through their website, you will notice they are hyping it up a lot, making it sound like a simple, sure way to make money online and live your dream lifetsyle of owning supercars and travelling the world. However, they never mention their system or tell you anything about it at all. The less information the website tells you about the system, the more likely it will be a scam. So, that's another red flag. They don’t want you to know what the system or product is, they just want you to believe their lies, that you can make hundreds of thousands of dollars with just a few clicks and all of the work is done for you automatically. After digging deeper into the Partner With Patrick website, I can see that this is just simply a sales funnel. This is the same as most of these ‘Get Rich Quick' websites, they just direct you to a high ticket business opportunity called MOBE (My Own Business Education). Affiliates of MOBE can earn massive commissions from signing up other members. I've talked about MOBE before. It is a legitimate business opportunity with fantastic training. However, I never recommend it because of how high ticket it is. If you're looking to sign up to MOBE, be prepared to part ways with thousands of dollars. If you were looking to get into the business opportunity through Partner With Patrick, firstly, you will only have to spend a small amount of $47. Now that $47 goes into whoever’s pocket that’s behind this sales funnel and you get absolutely nothing out of it apart from a phone call with someone who claims to be your ‘mentor'. However, he will be nothing more than a sales person trying to up-sell you. With that $47 you can do nothing else. So you are basically forced to upgrade to one of their membership options. Silver Membership: This membership requires a one-time payment of $2,497 + a $27 monthly payment. Gold Membership: This membership requires a one-time payment of $4,997 + a $64 monthly membership fee. Titanium Membership: This membership requires a one-time payment of $9,997 + a monthly fee of $121. Platinum Membership: This membership requires a one-time payment of $16,667 + a monthly fee of $198. Diamond Membership: This membership requires a one-time payment of a massive $29,997 + a monthly fee of $295. So, basically, you'll have to spend a minimum of around $2,500 before you can even attempt to start earning money. The Verdict – Is Partner With Patrick A Scam? As with my other reviews about MOBE affiliated websites. I'm not going to say they are actually a scam. Because they are directing you to a legitimate business opportunity. However, I would NOT recommend Partner With Patrick at all. There are too many red flags on this website for me to recommend this to anyone. Partner With Patrick is just full of misleading information and I do not trust it at all, and neither should you. Another sign that Partner With Patrick is a scam is that you must pay through ClickBetter. ClickBetter is just an affiliate network full of scams. Thank you for taking the time to read my Partner With Patrick review. Click here to check out my Partner With Patrick Review video. Secret Society of Millionaires Review – SCAM or Legitimate Opportunity?